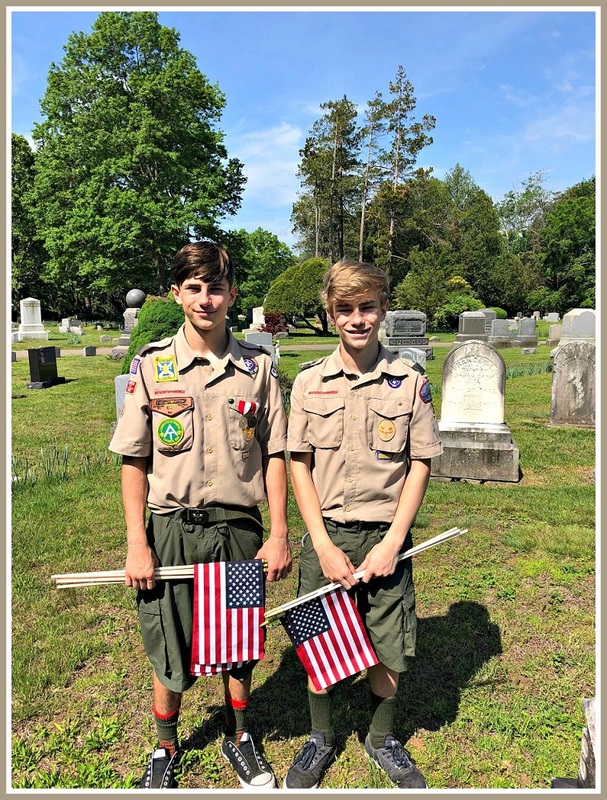 This entry was posted in History, Organizations, Teenagers and tagged Eamonn Brannigan, Memorial Day 2018, Terry Brannigan, Westport Boy Scout Troop 39. Bookmark the permalink. A great deed, indeed. Thank you, Troop 39, for such a beautiful remembrance! 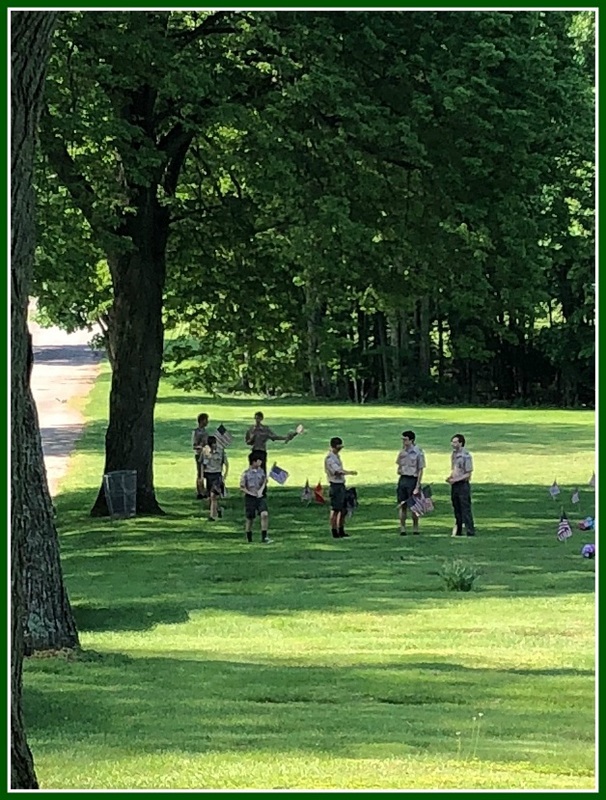 Thank you Troop 39…….we all forget those who served much too easily! Hi Kathy! The boys walk around the cemeteries and observe the type of stones that are installed. They are instructed to place a flag on any government issued marker. Some families elect not to order military markers for whatever reason and rely simply on the privately purchased stones instead. Unfortunately, these boys wouldn’t have known that your dad was a veteran if this particular marker is absent. I run Willowbrook Cemetery here in town and receive several inquires a year. Additionally, I explain to my families that they are responsible for decorating the graves of their loved ones, not the cemetery – and that this gesture is just that .. a beautiful gesture. This rule applies to all cemeteries. If your dad doesn’t have a military marker, simply contact the funeral home that served your family and bring in his DD-214 (Discharge Papers) and they will fill out the appropriate paperwork on your behalf. Remember: The State of Connecticut’s Veteran’s Affair will reimburse up to $100.00 for the installation of this marker, only if the request is within one calendar year of death. Otherwise, the family is burdened with the full cost of installation. I’m proud to say that Willowbrook DOES NOT charge the family a single penny for the installation of a military marker. Thank you, Troop 39. Many flags at Assumption Cemetery today thanks to you. Thank you on behalf of my family and my father, John J. Kondub, Purple Heart Marine, who had three battles on various Japanese Islands. Proud to see that new flag on his grave today. Well done, Troop 39, well done!